Severe weather can impose costly damage to the exterior of any type of building. As stone cladding has evolved into thinner and thinner veneers, the natural strength that the stone provides has lessened substantially. 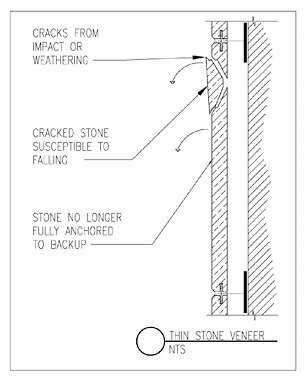 Even when exposed to severe winds that do not exceed the design winds speeds, a typical thin veneer installation can fail simply due to poor or faulty field installation. During severe windstorms, a majority of evidence supports wind-borne missiles as a high contributor to cladding damage. Compounded with the wear of normal weather cycles on thin stone curtainwall systems, the affects of wind can sometimes be devastating. Thin veneer stone is subject to cracking, spalling, and lessened flexural strength. Also, corroded connectors due to moisture intrusion due to these harsh conditions, lend to the possibility of failure during severe weather wind loads and debris impact. 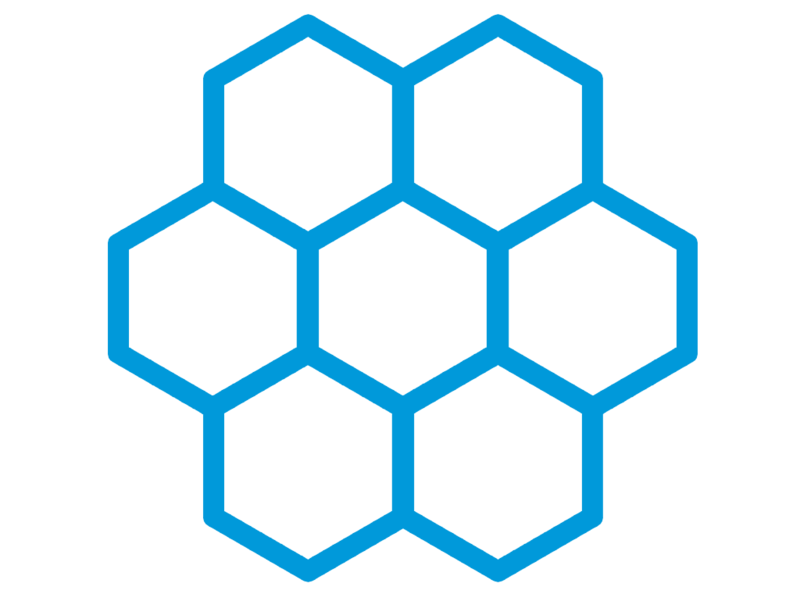 A StonePly panel offers 60-times the strength of a granite panel. 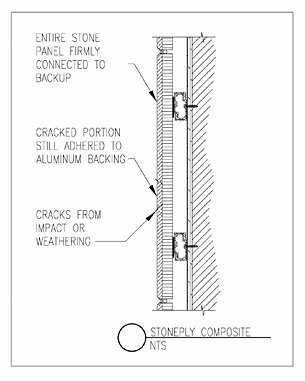 The stone portion of a StonePly panel is fully adhered to an engineered aluminum backing. This allows for a vast reduction in weight, but also secures any portion of the stone that loses its integrity. The composite system is engineered to withstand large missile impact fired at 50 feet per second, which would normally shatter 1.5 inch thick granite. StonePly also has the advantage of connecting this aluminum core to the backup structure with a connection tested to 300 M.P.H. wind speeds, and 400 psf wind loads.